The Agile-Waterfall Hybrid model is essentially a combination of Agile practices and the Waterfall method. At first, you might think that these two methods are so fundamentally different that they could not possibly be used together in the same project. Although there are great differences between Agile and Waterfall, combining them is far from impossible. In fact, it can lead to benefits that cannot be achieved by using either Agile or Waterfall on its own. The article below covers the common scenarios when Hybrid can be used. I also talk about why this can be a good approach in certain situations, and how the Hybrid method should be used in those cases. When to use Agile-Waterfall Hybrid? There is also a third subscenario for Hybrid software development. In most cases, software projects are started to fulfil a customer request. It's still relatively common that the client does not like the full Agile approach, as the budget and timeframe due to the lack of a detailed planning phase cannot be defined and fixed well in advance. In this case, the Hybrid model can be a good solution. 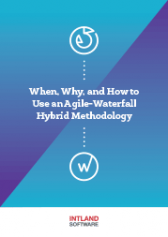 The Waterfall approach can be used for application design, planning, and requirements definition, while an Agile method is used for development and testing. Why take the Hybrid approach? Waterfall is not a speedy methodology. Deliverable results will only show at the end of the development cycle, so it could take months or even years before the customer sees the final product. Agile shortens the delivery time, and makes it easy to gather feedback in the early stages to better suit customer requirements. Don’t forget that the Hybrid model requires strong collaboration between the two types of teams. Therefore, special communication forms and channels have to be implemented. Usually, those using the Hybrid model need training for both types of teams so as to make sure they all understand the basics as well as the benefits of taking this approach. How to use the Hybrid method? Define standard compliance expectations and focus on them in the design-planning phase. codeBeamer ALM is a versatile management platform that supports the Agile-Waterfall Hybrid method. To learn more, watch our webinar recording of 29 March 2017 below, sign up for a free trial of codeBeamer ALM (includes Intland’s Agile-Waterfall Hybrid Template! 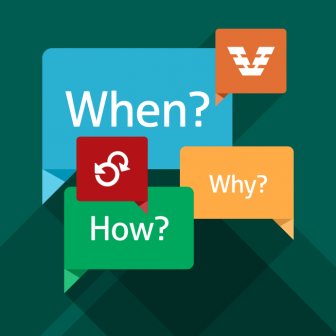 ), or drop us a line with your questions!